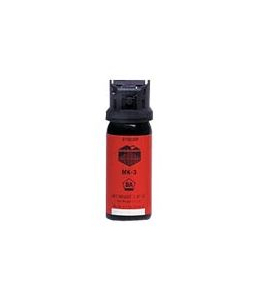 First Defense MK-3 10% Pepper Spray, 1.62oz. | 700225, COURTLAND BOOT JACK COMPANY, First Defense MK-3 10% Pepper Spray, 1.62oz. 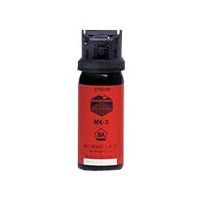 | McDonald Uniforms, Inc.
First Defense MK-3 10% Pepper Spray, 1.62oz. Larger MK-3 (1.47 oz.) canister ideal for standard on-duty carry. Used for all levels of policing, Pepper 10 duty aerosols offer multiple formulations and a variety of canister sizes. Stream aerosols are designed for target-specific long-range deployments, with a minimal likelihood of cross-contamination. Primary physical effect is on vision.